This Faré is a unique model, customized for Les Criques de Porteils. 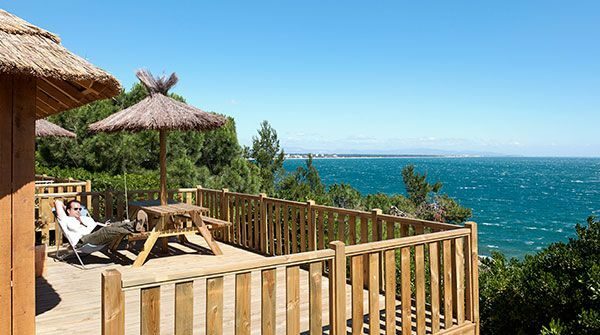 An exceptional location on the campsite with stunning views from its terrace on the sea. The the separation curtain of living room creates a second sleeping in privacy. kitchen have direct access to the outside. A storage cabinet at the entrance: trolley energized and high shelves. For your own comfort this PREMIUM holiday rental is exclusively available for a maximum of 2 persons. 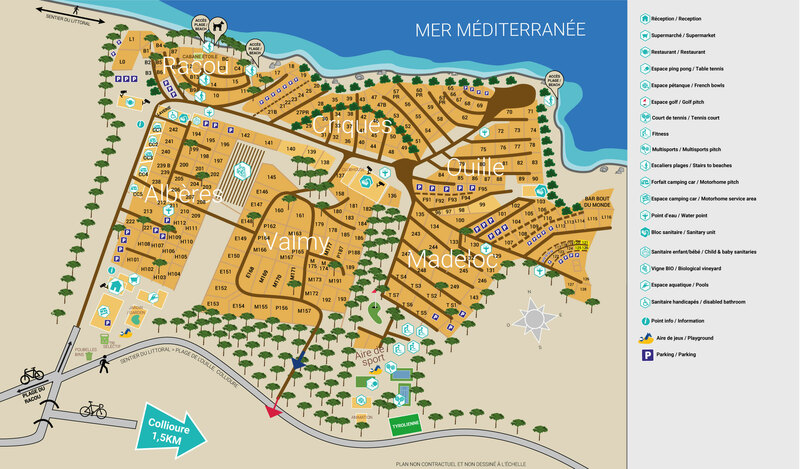 A luxury 5 stars campsite on the seaside with swimming pools between Argeles sur Mer and Collioure.